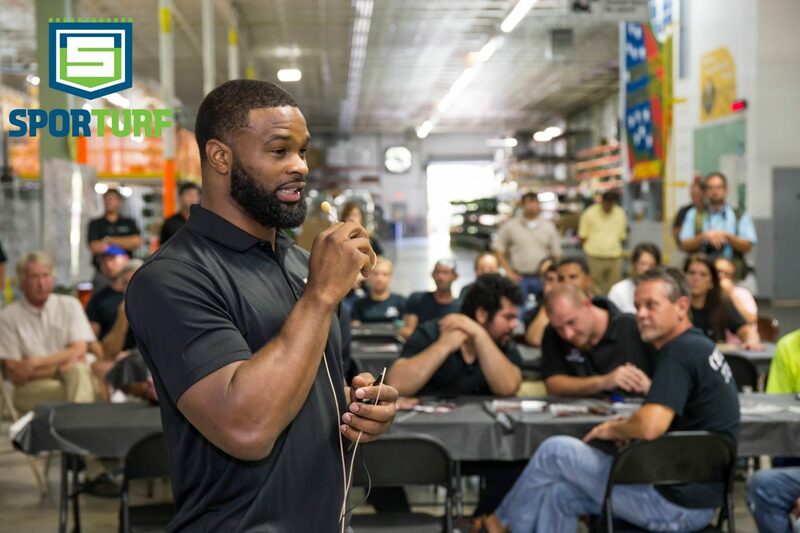 Tyron Woodley Visits Sporturf for Employee Event! 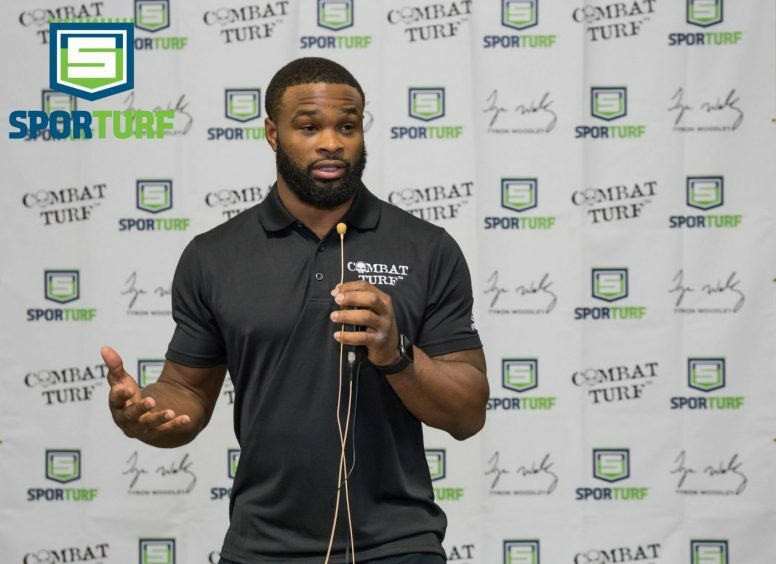 On Thursday September 21, Controlled Products and Sporturf™ held a private event for employees and invited Combat Turf™ promoter and three-time welterweight champion Tyron Woodley to speak and have lunch with employees. Tyron had humble beginnings; a single mother raised him in Ferguson, Missouri with a dozen brothers and sisters. 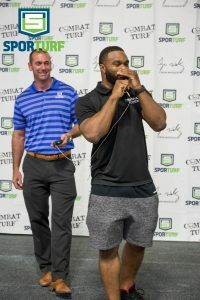 Suffice it to say money was stretched to the limits and if Tyron wanted to participate in sports, he needed to choose wisely and cost effectively. This is where his wrestling career began. Tyron continued to wrestle through high school and college becoming a two-time All-American and Big 12 Champion at University of Missouri. After completing college, Woodley turned to mixed martial arts and began training for the octagon. Since entering the professional world of MMA Woodley has won three title fights and owns his own gym called ATT Evolution. Recently, he has gotten into acting and stunt performance and had roles in films such as Straight Outta Compton and Olympus Has Fallen. 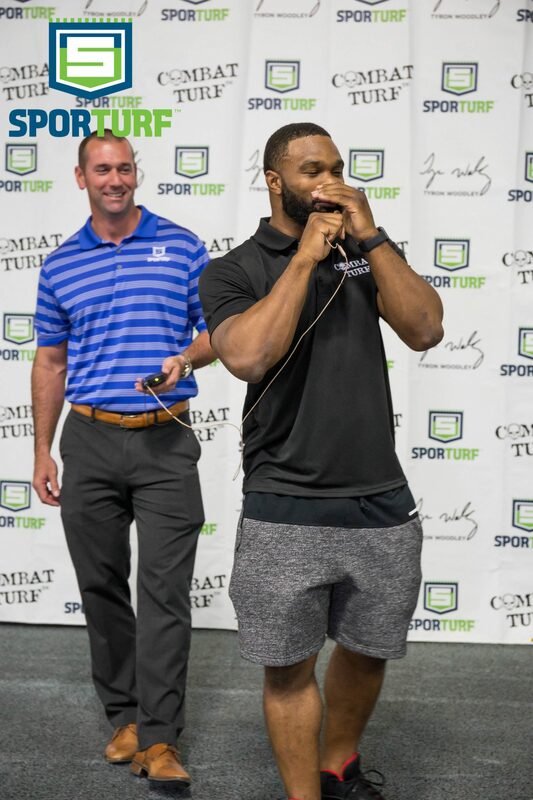 Sporturf is proud to be have Tyron as a member of the team!